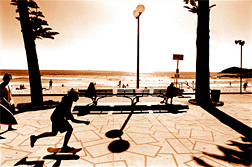 I grew up on Sydney's northern Beaches. 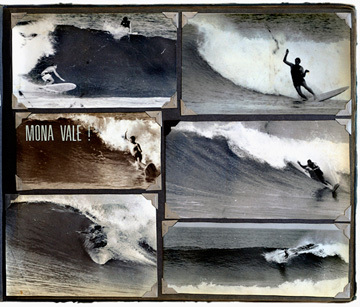 In the summer of 1959/60 I started surfing and my father built a dark room under the house, showed me how to process and print black and white film. I graduated from a Box Brownie to borrowing my father's 35mm Miranda SLR with no metering and a Tamron Twin Tele lens. February 1964, I bought a Komura 400mm telephoto lens with my first few months' pay. 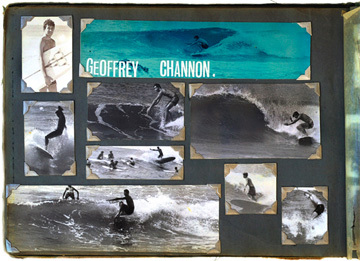 Six months later I had five black and white photos and 250 words published in the August 1964 issue of Surfing World. 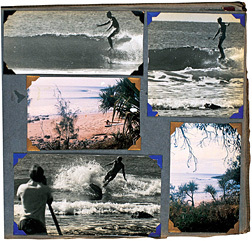 Subsequent feature articles and photos were published in Surfing World until the end of the decade. In 1969 influenced by the bent English humour of the Monty Python team, I wrote Number Seventeen Honeysuckle Street, Avoca Beach that John Witzig published in Surf International Vol 2 No 4 and that included my first published portrait. Then followed, Beware of Large Moulded Plastic Imitations that was published in the October 1970 issue of Surfing World. Photographically I was beginning to look beyond surfing action and took a few portraits although only several stand out. Technically my negatives were either over or under developed. I used the occasional colour negative film and dabbled with an old twin lens Mamiya and later started taking more abstract black and white images. 1971, along with Russel and Phil Sheppard started 16mm filming for: Our Day in The Sun, narrated by Midget Farrelly. That was cut into a 25 Minute short that premiered at a Surf Film Festival at Sydney. Early 1972, Russell, Phil and I commenced work on the feature length film: A Winters Tale, shot in New Zealand, South Africa, Hawaii and Australia that premiered in February 1974. October 1974, again contributed to Surfing World Magazine for several years but this time Bruce Channon who I had written about a decade earlier was the editor. 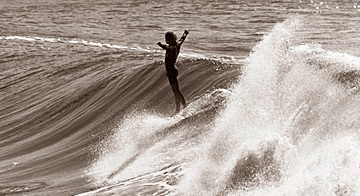 Towards the end of the seventies I was using a Leicaflex, handheld with a 180mm lens to shoot black and white surfing action and was establishing myself as a commercial photographer. 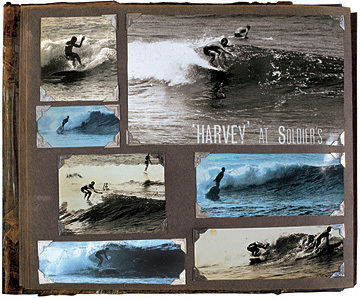 In Vol Two, Number Two of The Australian Surfers Journal in summer 89/99 Phil Jarrett published six pages of montages with lengthy captions from my early 1960's photo albums. 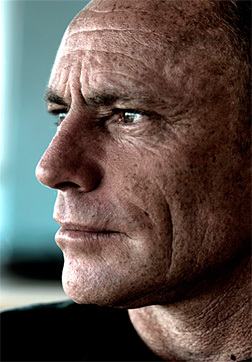 Bruce Channon started editing Australian Long Boarding in 2002 and I again continued my relationship with him contributing photography and I began to write profiles of characters within the surfing community. Commencing with a feature on John Cormack followed by Paul Morris, Ian Williams, Peter Hughes and Ian Reeder. 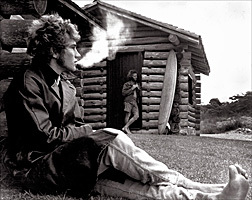 The 2006, ALB Photo Annual featured 14 pages of my Album Pages with ten accompanying essays. My last two features were: There's an Astronaught at my Door, The John Haymes profile in 2006 and A Decade in The Life of Ross Renwicki early 2008. I have written feature articles on John Witzig, Nathan Smith and Jack McCoy for ProPhoto magazine and Tom Carroll for Camera. I am currently working on several personal projects including one on the ocean.